“Tell me what you eat, and I will tell you what you are,” wrote the eighteenth-century French politician and musician Jean Brillat-Savarin, giving expression to long held assumptions about the role of food, taste, and eating in the construction of cultural identities. Foodways—the cultural, religious, social, economic, and political practices related to food consumption and production—unpack and reveal the meaning of what we eat, our tastes. They explain not just our flavor profiles, but our senses of refinement and judgment. They also reveal quite a bit about the history and culture of how food operates and performs in society. 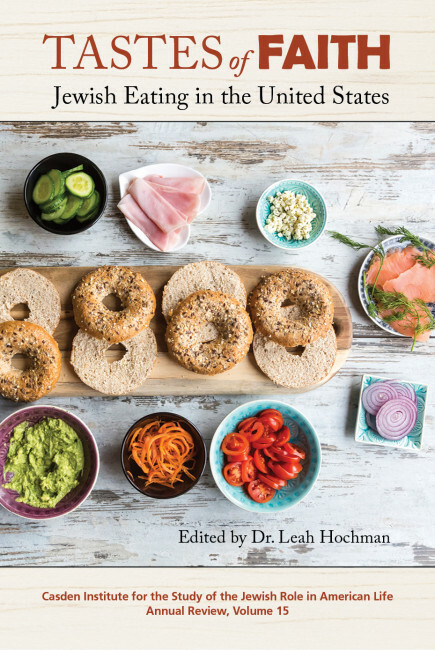 Jewish food practices and products expose and explain how different groups within American society think about what it means to be Jewish and the values (as well as the prejudices) people have about what “Jewish” means. Food—what one eats, how one eats it, when one eats it—is a fascinating entryway into identity; for Jews, it is at once a source of great nostalgia and pride, and the central means by which acculturation and adaptation takes place. 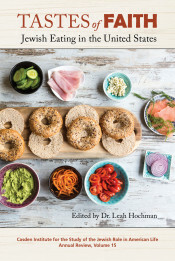 In chapters that trace the importance and influence of the triad of bagels, lox, and cream cheese, southern kosher hot barbecue, Jewish vegetarianism, American recipes in Jewish advice columns, the draw of eating treyf (nonkosher), and the geography of Jewish food identities, this volume explores American Jewish foodways, predilections, desires, and presumptions. Leah Hochman directs the Jerome H. Louchheim School for Judaic Studies at the University of Southern California and is associate professor of Jewish Thought at the Hebrew Union College-Jewish Institute of Religion in Los Angeles. She received her BA from Pitzer College and her MA and PhD in religion and literature from Boston University. She has been a fellow at the Moses Mendelssohn Zentrum in Potsdam, the Oxford Centre for Hebrew and Jewish Studies, the Simon Dubnow Institute in Leipzig, and the Einstein Forum in Potsdam. She taught previously at the University of Florida and Boston University. Her book The Ugliness of Moses Mendelssohn: Aesthetics, Religion, and Morality in the Eighteenth Century was published by Routledge in 2014.